A lot of people wonder how long their workouts should be. Personally, when it comes to training I have never really set an allotted amount of time to my training. I go in with a plan and it takes as long as it takes. However, this plan has a set amount of volume and intensity which I need to hit in order to make my required progress. A set training plan is a fantastic way to train, it not only ensures further progression for me, but also ensures that I do not overdo it in the gym. A good plan factors in rest and recovery as well as the required volume and intensity to encourage progressive overload. Training harder and for longer is not necessarily better, training and recovering smartly is key to progress. There are still various pockets of the world (often the internet) that would insist that overtraining does not exist and that it is either under recovering or under eating. However, all of these things should be managed in a good plan. Sufficient training, recovery and diet will always lead to greater gains than pure blood and guts hard work. Now, if you are into any sort of competitive sport or events you may be familiar with the idea of over training. This is where your plan will accumulate the volume of your exercise and workouts to the point of near overtraining. The reason for this is to elicit the ‘compensation’ effect. This is why ‘over reaching’ is utilised in sports such as powerlifting. The athlete will be trained to a point close to over training in order to take advantage of the compensation effect. Meaning that, if planned correctly, a powerlifter could turn up on meet day at something resembling 105%. There are obvious issues with this, as it is difficult to monitor a person or athlete to a point where they are just hovering over the point of over training. Rest and recovery need to be perfect. 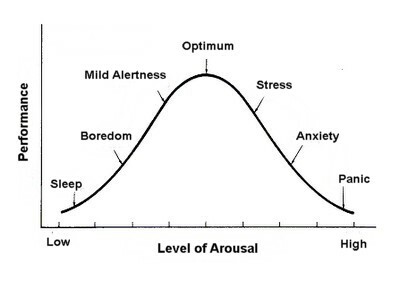 This state of optimal awesomeness can only be maintained for around 7-10 days and it should be quickly followed by a phase of rest and then back into training. ​In this state you would be functioning as close to perfectly as possible, your functional capacities, mental arousal, as well as your neuro-muscular coordination would be perfect. Training to reach a level where you can fully accommodate all of your functions and movements sounds very inviting, but it makes sense to aim for this state after increasing these capacities as greatly as you can over a span of training. In other words, before attempting to reach this stage of training you should possess a good foundation of training, i.e – a high level of physical preparation, as well as all the biomotor abilities required for your particular area. The higher your level of training before embarking on this, the higher your effectiveness will be in this training state. Periodisation is where you put yourself, or your athlete/clients, through a variety of training phases geared towards reaching the goal of compensation. The different training phases involve an increasing and decreasing of both the volume and intensity. As the volume in your routine goes up, the intensity should go down, and vice versa. The way in which you would periodise your own routine depends upon your goals and sport. I am from a powerlifting background so for someone like myself it is likely to follow a high volume phase at first, including some heavy work. This might only be heavy singles or doubles. Throughout this initial phase the volume is likely to slowly increase until a point just below overtraining. At this point I would take a deload week where I still train the movements but the volume is drastically cut down, and the intensity is kept moderate. Following this would be a strength phase, which would focus more upon the heavy weights and less upon the volume in the previous phase. This would be done in line with a competition phase, where I would likely take the week before the competition easy. By this point I will have acquired the essential training benefits, such as the improved functional capacities and neuro muscular coordination, and they would be difficult to improve further in a week’s time. So this energy would be saved for competition day. As you can see from the above over reaching is where you integrate a gradual increase of training and training volume in a controlled manner so as to result in a fantastic competitive edge over a short period of time. Overtraining would imply that a similar increase in your workload will occur but in a manner that is uncontrolled or unplanned. Without a sufficient recovery phase or a planned deload, an increase in training will lead to, at best, a slower rate of improvement and, at worst, a higher chance of an injury being incurred. When it comes to training, an athlete or gym goer will suffer from acute fatigue, and hopefully avoid chronic fatigue. Acute fatigue is simply tiredness incurred from that workout which can be recovered with sleep, rest or diet. Chronic fatigue, however, is where a person stays in the overreaching phase for too long. I’ve highlighted the benefits of going into a planned overreached phase but if you do it by accident or for too long you will suffer. Entering into a phase of chronic fatigue will be the result, and the continuation of, accumulated stress and will affect you both mentally and physically. Over training can come from any kind of training, whether it be strength training, cardiovascular training or technique training. Regardless of what it is it can put stress on both your mind and body and both of these need looking after. A large portion of this has focused upon the idea of a general training phase leading to overtraining but similar effects can happen in a shorter period. For example, training past the point of tiredness in one session will lead to your movement patterns being sloppy which in turn negatively correlates to skill acquisition as well as increasing your change of an injury occurring. Work smart, work hard but also rest smart and rest hard. Without planned rest, or even the occasional spontaneous rest, you will not progress in your fitness journey. Rest is vital to avoiding physical and mental pitfalls. If you find yourself constantly feeling ill, sore or even depressed then maybe you need to re-evaluate your training, take a step back or a day/week off and then come back to it recharged. Overreaching can be utilised to reap great rewards via compensation. Overtraining, however, should be avoided for your overall health.